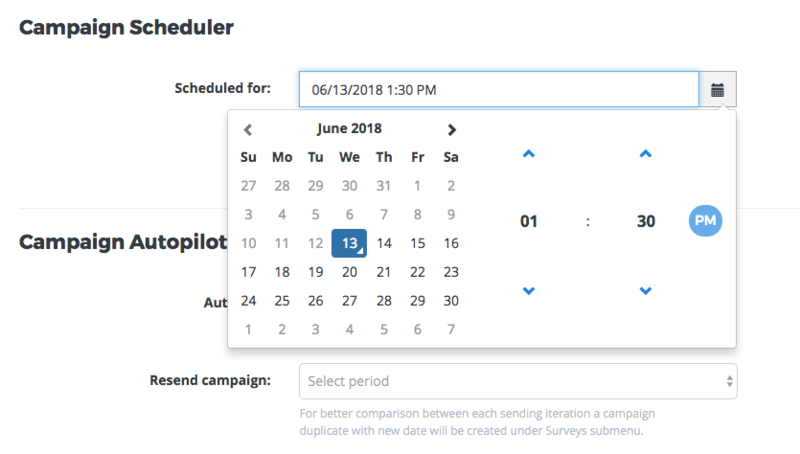 Nicereply NPS Campaign Scheduler allows you to schedule your NPS campaign for a specific date and time. To find the Scheduler go to your Nicereply account > NPS > Surveys. Select specific campaign and click Campaign settings. Then click on the calendar icon in the scheduler section and choose the time and date. When you're finished don't forget to ACTIVATE SCHEDULER and Save changes!